Steamed mussels in coconut milk with garlic, coriander and chili pepper. A delicious meal, that is extremely easy to cook. It’s a Thai-inflected version of this one-pot dish. 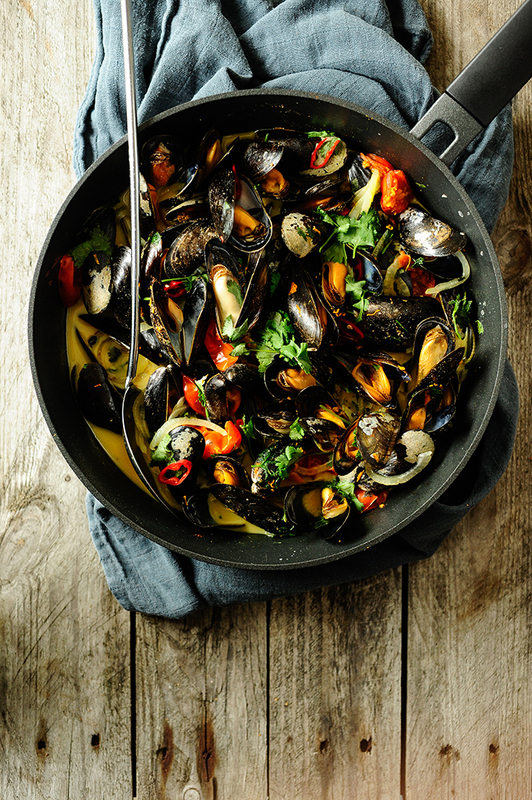 Clean the mussels; discard cracked mussels or mussels that don’t close. Scrub them well under cold water and pull out the beards. Put the onions, garlic, parsley, celery and cherry tomatoes into a high pan with a thick bottom. Pour the wine and simmer for 5 minutes on high heat. Season with turmeric, curry, ginger, salt and pepper. Add the mussels, coriander and also the coconut milk. Simmer for 10 minutes, covered, over medium heat. Stir the oil with garlic together in a bowl. Cut the baguette into small pieces and soak them in the garlic oil. Bake at 180°C until golden brown. 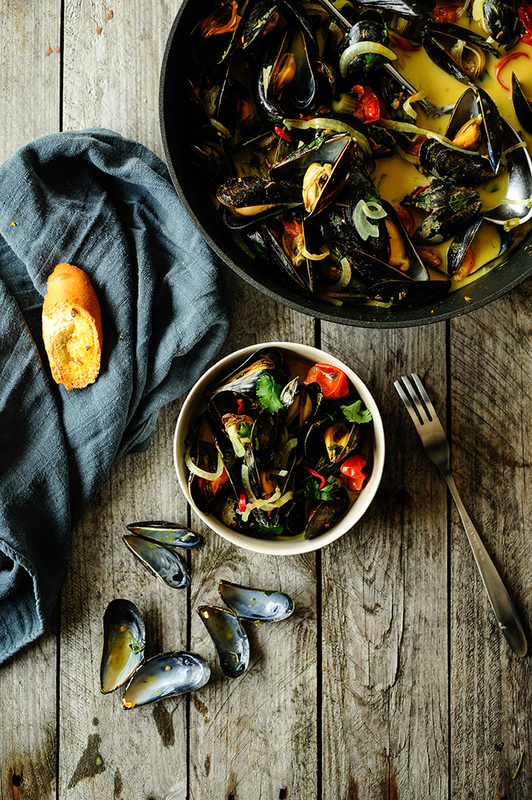 Serve the mussels hot with the toasted baguette. Enjoy!